Lowest price every time. Compare the cost on 30×40 steel buildings from local suppliers in your area. Price & design your metal building super fast. You will love the huge list of standard features available on the best products. Find inexpensive 30×40 metal buildings for equipment storage, work-space, warehousing, and garage space. Average price for 30×40 steel building is $14,500 – $17,000. Including options needed, location, and optional features, cost is determined by many factors. The cost of a 30×40 steel building varies greatly by the area in which the metal building is being built as well as the options and addons required. The most common steel building of this size has a price tag of about $14,000, while a building with a solid concrete foundation, fully insulated, eaves, and 1-3 roll doors can will be priced in the neighborhood of $35,000. 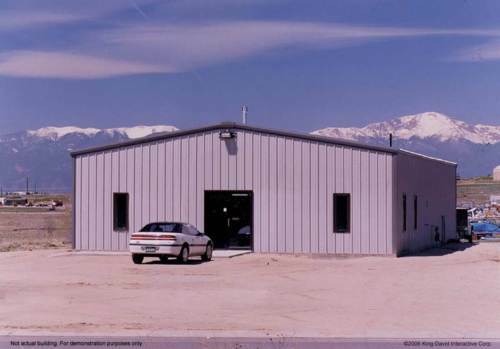 30×40 steel buildings are generally needed by agricultural companies, automotive repair businesses, and farmers.